Fasolo and Beams could be two of the big bargains to pick from the Magpies this year. 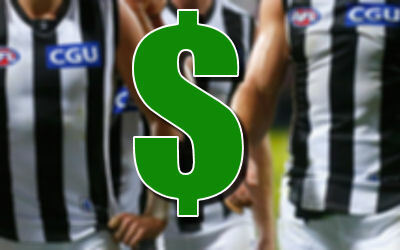 The biggest bargain I see is Alex Fasolo in the forward line at $208,400. We of course have Dayne Beams ($498,800) ridiculously cheap and then there’s the Pig and Pendles. Love the ‘Pies. Beams looks like a lock. Then one of Pendles or Swan for the other one in the team. what role do you think taylor adams will play? will he average 75 as he did at gws? any chance of a breakout or is there just too much midfield depth at collingwood?